Posted by The Team USA on Wednesday, January 16th, 2019 at 8:57am. Fairfax - "Contracts in the pipeline and home sales are up in our NVAR footprint despite stock market swings and a continuing federal government shutdown," said Northern Virginia Association of Realtors® CEO Ryan Conrad. "Even with these factors, our housing market is holding steady. We know that people want to live in Northern Virginia. "In 2018, Realtors® in Northern Virginia conducted transactions at a pace almost identical to 2017, which was the highest since 2005," Conrad said. "The NVAR region's 22,140 home sales in 2018 totaled $13,075,494,842, closely matching the 22,555 homes sold in 2017 for a $13,074,994,902 volume." Strong job growth, low unemployment and a positive economic outlook resulting from federal tax reform created a solid year for real estate in Northern Virginia, explained NVAR President Christine Richardson. "We expect a similar market in 2019," she said. Speaking to a group of regional real estate leaders on Jan. 10, National Association of Realtors® Chief Economist Lawrence Yun touted Northern Virginia's status as a tech hub to reinforce his long-term solid growth forecast for the area's housing. But in the near-term, Yun said, tax reform, lagging consumer confidence, the government shutdown and economic uncertainty are keeping home sales flat nationwide. That said, year-end total 2018 home sales in the NVAR region were just 2 percent below 2017 total sales. However, home sales rose by 5.43 percent in December 2018 compared to December 2017, buoyed by 28 percent year-over-year increases in both Arlington and Alexandria - perhaps due to investor speculation in the wake of Amazon's adjacent National Landing HQ2 announcement. "The buzz HQ2 has created will definitely impact our market for years," said NVAR Board Member Reggie Copeland, C.R. Copeland Real Estate in Fairfax. Contracts in the pipeline also skyrocketed in December. New "Under Contracts," which may include contingencies, were up 73.75 percent compared to December 2017. New "Pendings," those contracts ready to close, were up 16.51 percent over 2017. "While mortgage interest rates may inch up, the Fed in December lowered its 2019 projection to two increases of the federal funds rate. However, the potential for rising interest rates, combined with the Amazon announcement, has spurred many buyers into action. We've seen first-time buyers, who were sitting on the sidelines waiting for the right time to act, jump in to the market," said Richardson. Inventory remains a challenge for the NVAR region, with active listings falling by 20 percent in December compared with 2017. However, the inventory levels are not causing skyrocketing prices, explained Richardson. "Buyers - and their Realtors® - are extremely well educated about market values and are not willing to overpay for a property just to win the right to buy it." Despite continuing job growth and mortgage rates still below historic norms, the NVAR region can use more homes at affordable price points. "But our Realtor® members keep a trained eye on economic trends and financing options to maximize available opportunities for those hoping to buy or sell a home in Northern Virginia," said Conrad. Richardson agreed, noting that activity in the marketplace is already increasing rapidly, despite the fact that it's only early January. "We are seeing open houses with 30 to 40 visitors in three hours," said Richardson. "This suggests that we will have a very busy Spring market in 2019." The single biggest issue on most home sellers' minds is how to achieve the highest sale price possible in the least amount of time. Well, we set ourselves apart from other companies by being accountable and putting the client first. 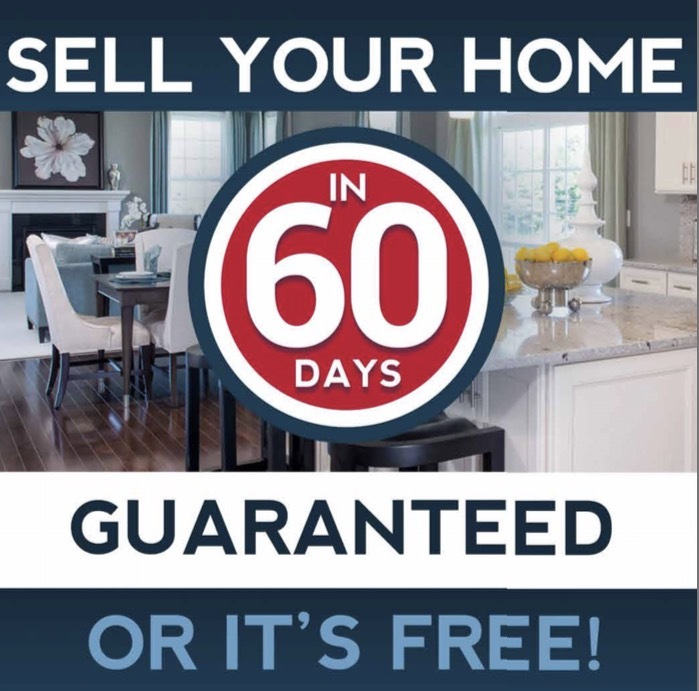 In other words, we don't just promise to sell your home, we guarantee it. A total of 1,514 homes sold in December 2018, an increase of 5.43 percent above December 2017 home sales of 1,437. Active listings, which include detached, attached and condo/co-op properties, decreased this month compared with 2017. The NVAR region had 1,905 active listings in December, compared with 2,388 homes available in December 2017. The average home sale price rose by about 1 percent compared with last December, to $593,400. The December 2017 average sale price was $591,005. The median sold price of homes this December, which was $512,000, held steady compared to the December 2017 median of $510,000. The 1,270 new pending home sales in Northern Virginia in December were 16.51 percent above the 1,090 contracts that were newly pending in December last year. Total pending sales of 1,697 in December were up by 14.12 percent, compared with 1,487 total pending contracts in December 2017.